Keep documentation and receipts for at least three years after filing. 2. How Many Years Should I Save My Income Tax Returns? The amount of information necessary to file an income tax return can be substantial, and it can take hours to assemble all of this paperwork. Once your return is filed, however, the requirements continue. The Internal Revenue Service can typically audit returns that are up to three years old, but sometimes they check even older returns. 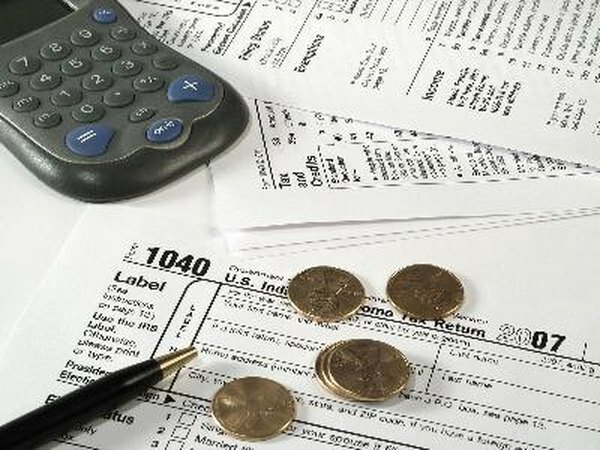 In case this happens to you, you must have documents and receipts that support the facts in your tax returns. The IRS can generally examine or audit a tax return for up to three years from the due date of the return, or the date that the return was filed, whichever is later. In some cases, the IRS may look further back in time. For example, if the IRS learns you under-reported your income by more than 25 percent, it may go back six years; if you claim a loss for worthless securities, it may go back seven years. If a return is fraudulent, or you do not file, this tax return and its associated documents may be examined at any time -- there is no time limit. Many taxpayers keep a copy of regular tax returns, such as Form 1040 and all related forms and receipts, for at least seven years, to coincide with the longer time frame during which the IRS might examine old tax returns. Keeping old returns also makes it easier to file your returns for subsequent years, because some information carries forward to the next year. With scanners and hard drives making long-term storage convenient, some taxpayers choose to save their old tax information indefinitely. Any income tax document that is connected to an asset may need to be saved for a longer period of time. For example, if you are depreciating a car used in a business for seven years, it's prudent to keep your documents pertaining to the car until six years after you sell the vehicle, as you must be able to verify the taxable basis of the sale, and cover the time frame in which the IRS can audit the return: usually a maximum of six years. For example, you should save such items as the bill of sale, the receipt, and all depreciation documents. If you make a non-deductible IRA contribution, you must file a form 8606 for each year that you contribute. You later use this form to determine the taxable portion of the IRA as you withdraw from it. You must save the form 8606 from each filing year until you withdraw all of the money from the IRA account. IRS.gov: How Long Should I Keep Records?